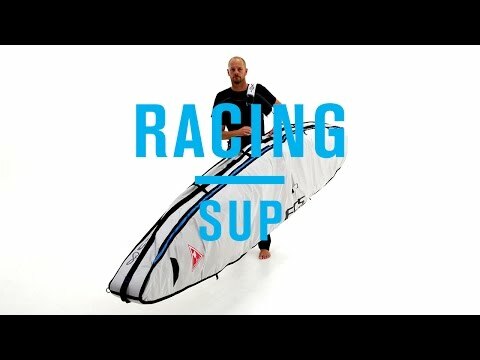 This lightweight bag is designed for the unique shape of racing boards, and helps protect against dings and UV exposure. Fits racing SUPs up to 14ft. Padded with 5mm high-density foam. Ergonomic shoulder pad has double layer perforation for comfort and support. Marine grade zippers resist corrosion. Airflow system helps to remove moisture and maintain dry internal compartments. Comes with red hazard flag.